The Providence Journal profiled Gokhan Erkovan, a sacral chordoma patient from Los Angeles, who underwent a successful surgery last June. The surgery was performed by chordoma expert and CF Medical Advisory Board member, Dr. Ziya Gokaslan. The St. Thomas Times-Journal profiled a patient’s 4-year journey with chordoma and how after a life-changing surgery to remove his tumor, he was able to return to practicing and training others in kickboxing and jiu-jitsu. The article also features quotes from the Chordoma Foundation’s Director of Research, Joan Levy, PhD, and chordoma patient and Co-Founder of the Canadian Chordoma Network, Steven Golick. 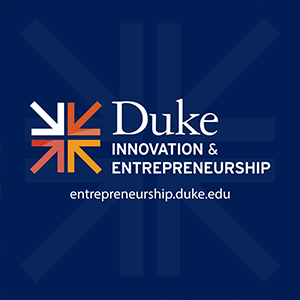 Our Executive Director, Josh Sommer, was featured in a profile by the Duke Innovation and Entrepreneurship Initiative which touted the Foundation’s scientific momentum and philanthropic innovation. This Genome Magazine story by Editor-in-Chief Misha Angrist relays the history of the Chordoma Foundation and profiles many of the people and events that helped catalyze early progress in chordoma research and transform this devastating neglected disease into a solvable scientific problem. Cancer Today, a publication by the American Association for Cancer Research, spoke with Josh Sommer about how he got his start in research and advocacy and what patients can do to spur progress in treating cancer. FasterCures, a think tank that works to speed and improve the medical research system, profiled our Patient Navigation Service (PNS) in their monthly innovator spotlight series. The Q&A with Executive Director Josh Sommer was shared with over 2,000 readers from hundreds of medical research foundations. It explained how the PNS serves patients and families in need of support, and offered tips and insights for other organizations seeking to build successful navigation tools. This is the second time CF has been profiled in the innovator spotlight series, which aims to help foundations that fund research share best practices and ideas. After a dire diagnosis David Fajgenbaum had to figure out in which direction to run. Guidance came from another young man, Josh Sommer, now 28 years old, who was diagnosed as a freshman at Duke University with chordoma, a rare bone cancer that often appears in the skull and spine. Sommer formed the Chordoma Foundation in Durham, North Carolina, which he’s headed ever since. FasterCures, a center of the Milken Institute, invited senior leaders from across sectors in medical research to offer their insights on cutting through the roadblocks that slow medical progress. Josh Sommer wrote an article highlighting that rather than competing for resources, patient services and research should work together to achieve the ultimate mission of finding cures. Josh Sommer was diagnosed with chordoma in 2007 when he was a student at Duke University. Since then he has turned his own struggle with this rare cancer into a successful foundation that is accelerating the pace of research and bringing hope for a cure to everyone affected by this disease. The Chordoma Foundation has taken innovative approaches to overcome the obstacles that stand in the way of research into a rare disease. By establishing partnerships to secure reliable funding and promoting widespread collaboration within the research community, the Foundation has enabled considerable progress in the search for a cure during its seven years of operation. Josh Sommer spoke at the second annual Forbes Healthcare Summit during a panel discussion titled “One Man’s Search for a Cure”. Watch as he shares the powerful story of how his own diagnosis led to the formation of the Chordoma Foundation and describes the organization’s strategies for accelerating research into a rare disease. Six years after its start, the Chordoma Foundation has made great progress toward better treatments. Bob Buckley reports on how far the Foundation has come and what still needs to be done to get chordoma patients the care they need. Josh Sommer, Executive Director of the Chordoma Foundation, is leading the way in the field of Science and Healthcare. The healthcare landscape is transforming for the better, opening up to revolutionary new ideas and new approaches, and young people like Josh are playing a role in this incredible change. Nonprofits are playing an increasingly important role in driving drug research and development and the Chordoma Foundation is among those that are leading the way. Today, scientists made a major step in cancer research; they identified the underlying genetic cause behind a rare form of carcinoma cancer, chordoma. This discovery puts the emerging field of genomics on the map, may speed up the drug approval process, and reduces the risks associated with groundbreaking research for venture-funded biotech companies. For genetics researchers, it adds credence to the theory that studying rare cancers may reveal more fundamental aspects of cancer biology that are relevant across all types. Cell lines are critically important to cancer researchers, but developing them is frequently time-consuming, frustrating and unglamorous work. In 2010, the Chordoma Foundation partnered with Innocentive to launch a cell-line challenge, offering $10,000 prizes to researchers in order to to accelerate the search for treatments. Josh Sommer’s talk at the Sage Congress inspired scientists, and pharmaceutical company executives to share and collaborate to speed the pace of drug development. Josh Sommer spoke alongside distinguished leaders in the field of cancer research at a press conference in Washington, DC announcing the release of the AACR Cancer Progress report 2011. 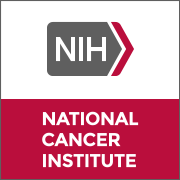 Josh’s talk, which begins at 42:30 in this webcast, highlighted the progress in chordoma research, and urged increases in federal funding of cancer research in order to capitalize on powerful new technologies. Cell biologist Silke Brüderlein at the University of Ulm has a knack for establishing cell lines from difficult-to-grow tumors. For creating the first two valid chordoma cell lines, the Chordoma Foundation awarded Dr. Brüderlein a $10,000 prize. Now she continues working to create novel cell lines and has a full pipeline of new chordoma cell lines in development. Patients with chordoma are surviving longer, according to data reported at the Third International Chordoma Research Workshop, held in Bethesda, Maryland. In a reanalysis of nationwide cancer registry Mary McMaster, MD, from the National Cancer Institute’s Genetics Epidemiology Branch found that the median survival of chordoma patients has increased from seven to nine years. Open innovation – an emerging hope for biopharma? Biomedical innovation is impeded by, among other things, constrained communication and interaction between scientists; knowledge turns need to be accelerated, and scientists in different labs need to share data and information as if working side-by-side. An indepth look at chordoma research and the progress catalyzed by the Chordoma Foundation, including development of therapies targeting brachyury, a gene recently discovered to be important for both sporadic and familial chordoma. CR magazine’s interview with Chordoma Foundation founder Josh Sommer on how the foundation was formed and how it has aided collaboration in cancer research. Sharon Begley explores the reasons why more discoveries don’t translate into cures. The Chordoma Foundation is mentioned as an example of how a nonprofit organization can accelerate the development of new treatments by facilitating the exchange of scientific materials needed for research. TV reporter Bob Buckley chronicle’s the story of Chordoma Foundation co-founders Josh and Simone Sommer’s urgent mission to find a cure. The Chordoma Foundation’s innovative approach becomes a model for research in rare diseases. Wall Street Journal Reporter, Amy Dockser Marcus, highlights the Chordoma Foundation as a model of innovation in the search for treatments for rare cancers. Researchers from Duke University Medical Center and the National Cancer Institute pinpoint abnormal genes as cause of familial chordoma. Survivor Daniel Alter’s battle against chordoma leads him to the Chordoma Foundation. Josh Sommer is named Person of the Week by ABC World News Tonight. Chordoma Foundation’s work with Duke researchers is featured in the Duke Cancer Center Newsletter. When Josh Sommer was diagnosed with cancer, he went to work in a lab to find a cure. NBC’s Jenna Wolfe reports on NBC TODAY Show how Sommer’s efforts grew into the Chordoma Foundation. Duke student and chordoma survivor researches to find a cure for his own disease, featured in Associated Press and syndicated by papers across the US. Audio slideshow available here. The work of Josh Sommer and the Chordoma Foundation featured in The Chronicle, the student-run newspaper of the Duke community. Josh and Simone Sommer featured in Raleigh News and Observer about early efforts to spur research for chordoma. Josh and Simone Sommer interviewed on NPR’s The State of Things with Frank Stacio. The Chordoma Foundation`s efforts to find a cure are featured in Triad Philanthrophy.